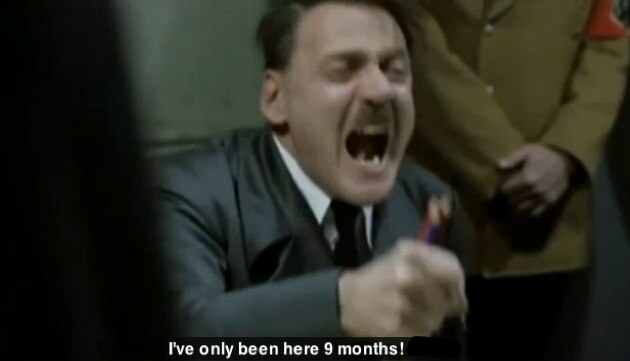 This Hitler Meme video about the firing of MySpace CEO Owen Van Natta after just 9 months on the job must have been done by an insider (it was forwarded to us anonymously). News Corp Digital Chief Jon Miller and newly promoted co-presidents Jason Hirschhorn and Mike Jones are mentioned repeatedly. There’s a lot of inside baseball. But stuff like this is part of the healing process. When you’re done here, you can follow up by listening to Hitler rant about the iPad.